A beauty/a pearl of dub techno...a wonderful tool. MUST HAVE for ALL Deep/Dub VinylLover! Apart from the chords, the dark sounding sythn on Spiral 2 is iconic and a signature of what we have come to so love and cherish from Rod Model. The track possesses tribal elements which don’t interfere too much nor overshadow the dub aspects of the song. 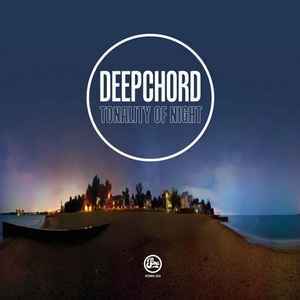 Ultra smooth and deep release by the ever inspired 'Deepchord'. Both tracks help your mind free it's self from this Earthly plain, and transcend to high mental-altitudes. Please start shipping these sonic gems in something other then flimsy plastic sleeves. Side A sounds like another version of Amsterdam Remnant 3, record comes in one of those crappy annoying plastic sleeves aaaaarrrrrrggggh.